Now that Facebook is a public company, it will have to redouble its efforts to make profits and keep its shareholders happy. The best way for them to generate revenue is obviously through advertising, and so Facebook will have to make all efforts to attract advertisers to their site. This may be easier said than done, and among their biggest competitors in this effort is obviously Google. While Facebook is essentially a social network it has been trying to incorporate search into social. 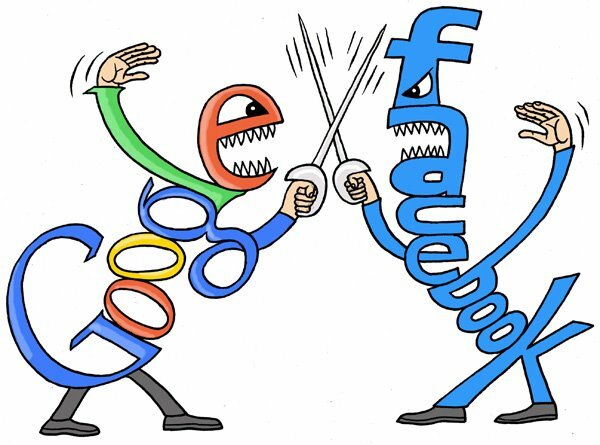 On the other hand, Google which is basically a search engine has been working hard to get a foothold in social through their social network Google +. Facebook certainly has a much larger user base than Google +. This could work in its favour as they will be able to attract more people to see their ads. However, certain features of Google +, are more attractive than those on Facebook. While users of Facebook are mostly connected only to their friends due to the privacy settings of that network, it is easier to get in touch with a wide variety of people on Google +. This kind of networking obviously leads to more stimulating and informative discussions, rather than the discussions on Facebook where people usually talk to each other about their day to day schedule or days events. Also users can access many more sites such as Places, Maps and Navigation, YouTube and others through Google +. Based on these observations one will have to wait and watch which social network will ultimately attract more advertisers and thus generate more revenue.